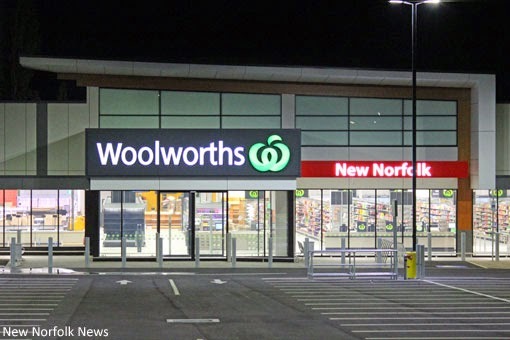 WORD has it that New Norfolk's new Woolworths supermarket will open in about a fortnight, with April 14 being tipped as the day trading will shift from the existing Charles St premises to the huge new premises just across the road in George St. 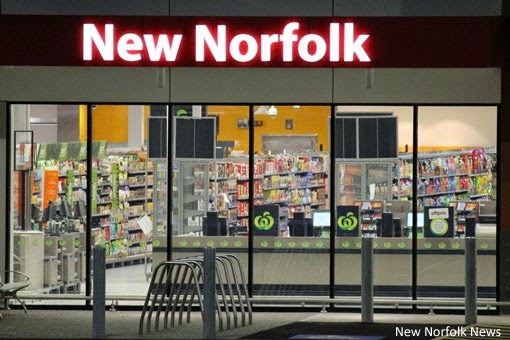 In the absence of any official advice from Woolworths, here's what the New Norfolk rumour mill has to say about the new supermarket. Make of it what you will. 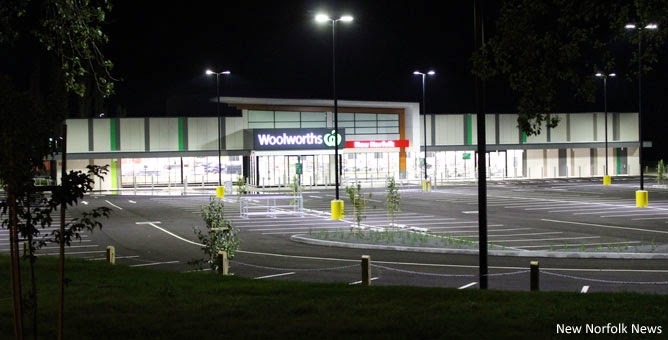 The new supermarket is substantially bigger in floorspace than the closest Woolies at Bridgewater. As many as 50 additional employees (30 full-time equivalents) have been employed to staff the new supermarket. There will be self-service checkouts in addition to the traditional checkouts. In addition to having an in-house bakery, customers will be able to order a pizza and have it cooked while they shop. Trading hours are likely to be 7am-10pm seven days a week. notice at New Norfolk's new Woolworths Supermarket. There's no milk in the fridge but most of the shelves are stocked.